Welcome to Paramotor Planet, my name's Darrell and I've been flying paramotors at every opportunity since the start of 2013. 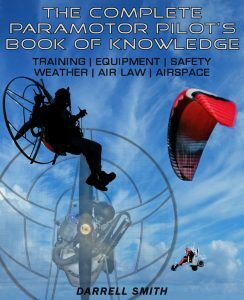 I've started Paramotor Planet to answer the many questions that new paramotor pilots have. When I first started out paramotoring, I found it very hard to find any answers to my many questions. Consequently, I went on to make a lot of mistakes, and rushed into the sport with no knowledge of what I was getting in to. If you read THIS POST, you'll learn about some of the mistakes I made in the beginning. 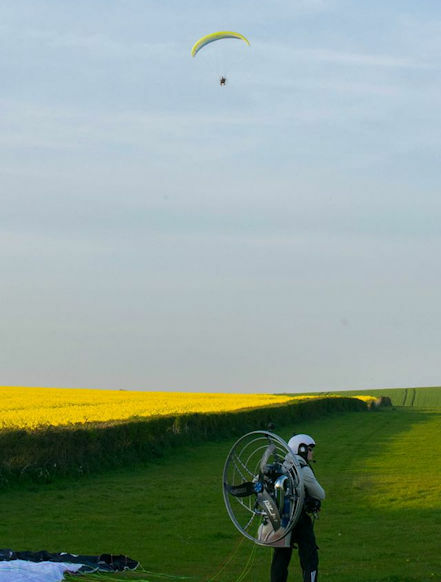 If you have a quick google, you'll find very few dedicated paramotor sites like this one. Many sites will answer your questions, but they are usually biased because they are trying to sell training or equipment. My posts contain nothing but honest advice, and answers to everything new pilots are asking. Every post is written by myself unless otherwise stated. If you feel you can contribute to the site, I welcome guest posts. The majority of the pictures used are of me, or they are pictures I've taken myself. And all videos are my own, unless otherwise stated. All reviews are based on my actual experience with that product and I'll never write a review without fully testing the product first. If you don't find an answer to your paramotoring question, you can send a message to the Paramotor Planet Facebook page. Paramotor Planet's Instagram page that has lots of fun pictures and videos can be found HERE. I got into flight at the age of 11 when my Dad took me to Fairford airshow. We sat watching the planes, and I quickly became obsessed with anything you could fly. I joined the air training corps at 13 and was able to fly Bulldog trainers and gliders on many occasions. The plan was to join the Royal Air Force and become a pilot, until my dreams were shattered after discovering I was colourblind. The colourblindness was very slight, but it was enough to keep me on the ground. I remained obsessed with aircraft and planned to one day obtain my pilots license. 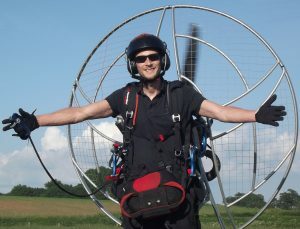 A paramotor appeared on a news report when I was about 16, and I remember thinking, wow that looks awesome! Back then, paramotoring was still a very new sport, and I couldn't find much information about it. Until one day a whole 12 years later in 2012 when a paramotor video went viral on YouTube. 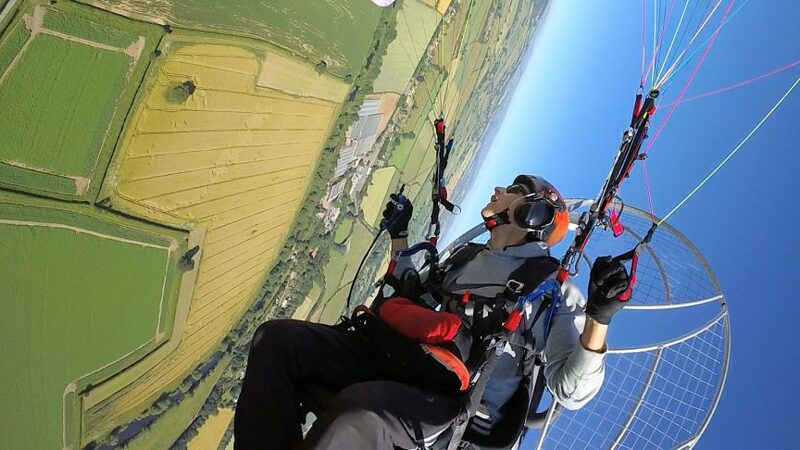 I watched it and instantly started researching the sport, and to my surprise paramotoring was within my reach. My training was booked within a few weeks, and 6 months later I was taking my first solo flight. In 2017 a guy who later became a good friend reached out to me for some help getting into the air. He'd taken training, but he had only completed one flight and was in need of some guidance. He had been very poorly trained, so I worked with him to teach him everything he should have been taught by his previous instructor. I got his ground handling on point, taught him loads of theory, and he was soon confidently flying with minor guidance. After a recommendation from him, I was soon teaching his friend; and by word of mouth a bunch of people started contacting me for training. I also get lots of interest via this website, but unfortunately commitments with my engineering business have prevented me from opening a full time school. There will definitely be a paramotor planet flight school in the future, but for now I'm keeping it purely online. Paramotoring is a such an awesome sport, and will probably be one of the most exhilarating things you ever try. I wish you luck getting into the sport, and really hope Paramotor Planet helps you along the way. Fun fact about me: like many paramotor pilots I come from a dirt bike background. When I'm not flying or blogging, I'm messing with dirt bikes. Check out my dirt bike blog here.